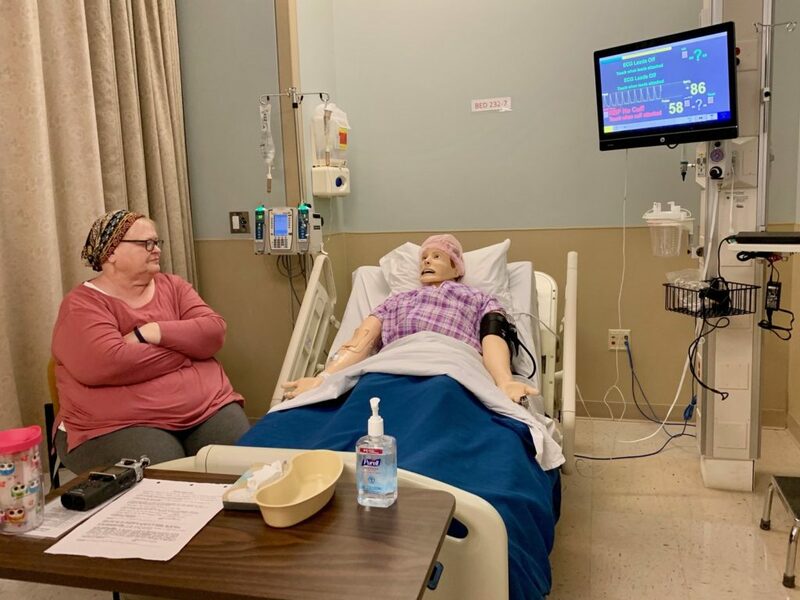 Morphine, And A Side Of Grief Counseling: Nursing Students Learn How To Handle Death. Nursing requires hands-on training. But research has found that university curriculum often goes light on one of life’s universal experiences — dying. So some colleges have gone to new lengths to make the training more meaningful. There’s a sound near the end — the death rattle. People stop swallowing. The lungs fill up. There can be involuntary moaning. “So you get all that noise. And that’s really distressing for family members,” Professor Sara Camp of Nashville’s Belmont University says. 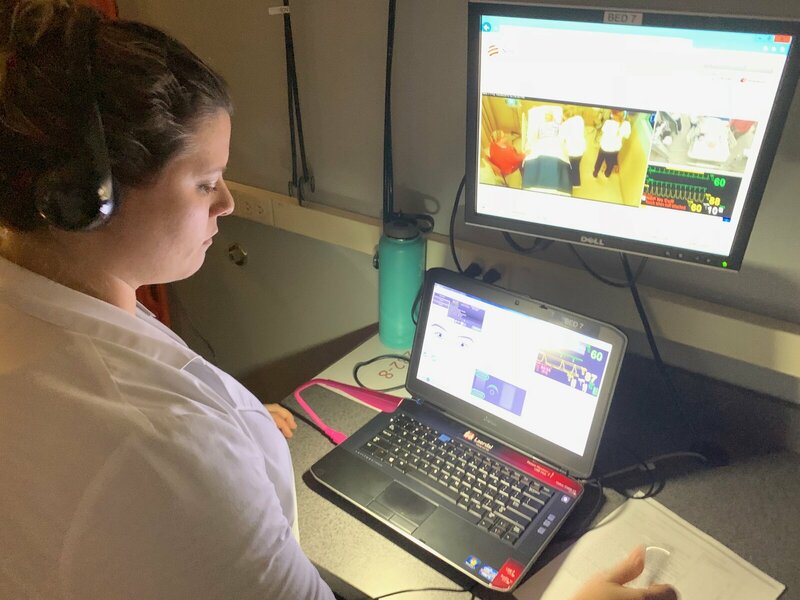 Camp and other nursing instructors at Belmont wear headsets and watch video monitors in a dark closet. The sounds they make emerge from realistic robots lying in hospital beds on the other side of the wall. The instructors also control the stats for the robots’ breathing, pulse and blood pressure. Other than administering morphine, there’s no exact prescription for students to follow. A review of nursing textbooks found many make no mention of this standard part of the job. And studies of professional nurses find that many feel unprepared. There are family dynamics to navigate, like explaining to grown children how their mother signed a do-not-resuscitate order. 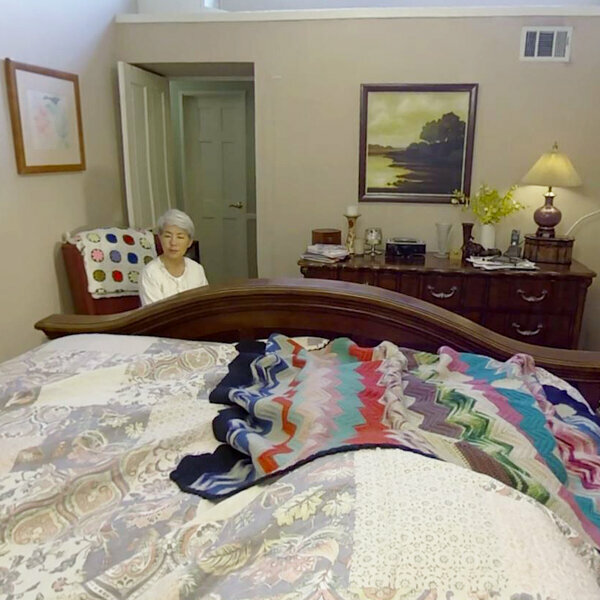 They have to balance caring for the dying patient and attending to the patient’s family. “That old cancer … didn’t want it to come back,” says Vickie Bailey, who has embraced her role as a grieving daughter. “Now would be a good time if you have prayers or anything you want to say,” she tells Bailey. “I’ve been praying all morning,” Bailey responds, in character. It’s such important work, Camp says, that more students should get the chance to rehearse. 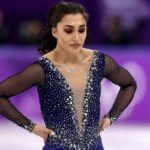 Previous Previous post: ‘My child’s health is paramount’: Gabrielle Daleman’s mother on her daughter’s mental health battle. 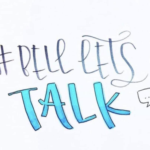 Next Next post: People with mental illness don’t need more talk.